China carried out a fourth land-based mid-course missile interception test within its territory on 05 February 2018 and "achieved the desired test objective". As usual, the government announced that the "test is defensive in nature and not targeted against any country". The HQ-9B, HQ-19 [THAAD counterpart], HQ-26 [SM-3 counterpart] and HQ-29 [PAC-3 counterpart] are designed primarily for Anti Ballistic Missile capabilities. While the HQ-9A air defense variant of the HQ-9 series is very well attested, the remaining theater missile defense interceptors are poorly attested, and verge on being little more than rumors. The Red Flag-19 system also includes a multi-purpose solid phased array radar for early warning. It is reported that the X band phased array radar can detect targets at a distance of 4,000 km, covering the northern fringe of the South Asian subcontinent to the vast areas of the hinterland of the Qinghai-Tibet Plateau. The information is provided to the Red Flag-19 interception system via the command-and-control system. 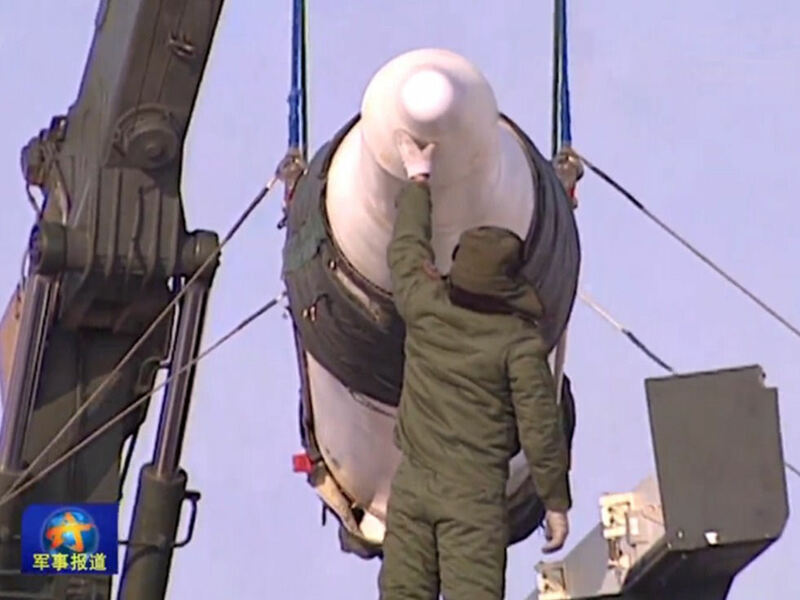 During the 2013 and 2014 interception tests, the Red Flag-19 missile successfully reproduced the situation of USA Standard 3 intercepting the USA-193 at that time. At a height of over 200 km, it approached a relative speed of 10,000 m / Intercept simulation of intercontinental missiles hit the target. 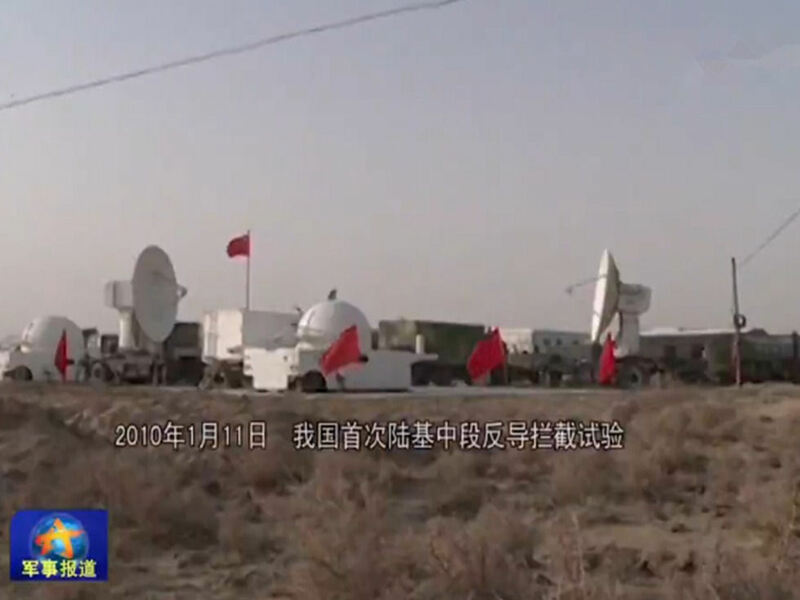 On January 11, 2010, China conducted a pilot land-based mid-section anti-missile interception test in China. On January 7, 2010, the United States announced that it will sell the "Patriot" missile system to Taiwan. Some experts speculated that the Chinese missile test is very It may be related to arms sales by the United States to Taiwan. The Chinese Foreign Ministry said the trial is defensive and "not aimed at any country". On January 27, 2013, China again conducted a land-based mid-section anti-missile interception technology test in China, which achieved the desired goal. This experiment is defensive and does not target any country. On July 23, 2014, China conducted a ground-based ABM technology test in China, which achieved the desired goal. China carried out a fourth land-based mid-course missile interception test within its territory on 05 February 2018 and "achieved the desired test objective". In December 2016, some mainland Chinese sources broke the news that China's newest land-based mid-plane anti-missile system has become combat-capable: the Red Flag-19 air defense missile had officially entered the PLA's military service. By one account, the Chinese developement process usually requires that a SRBM be fired 9 times before being validated and admitted to active service, whereas for a larger MRBM the program budget might only support 4 trials. American practice also requires more tests for smaller missiles than large ones, but a larger strategic missile like an SLBM or ICBM would require 20 tests, while smaller rockets would require some multiple of this number. On July 23, 2016, the suspected red flag -19 (HQ-19) made a public appearance. 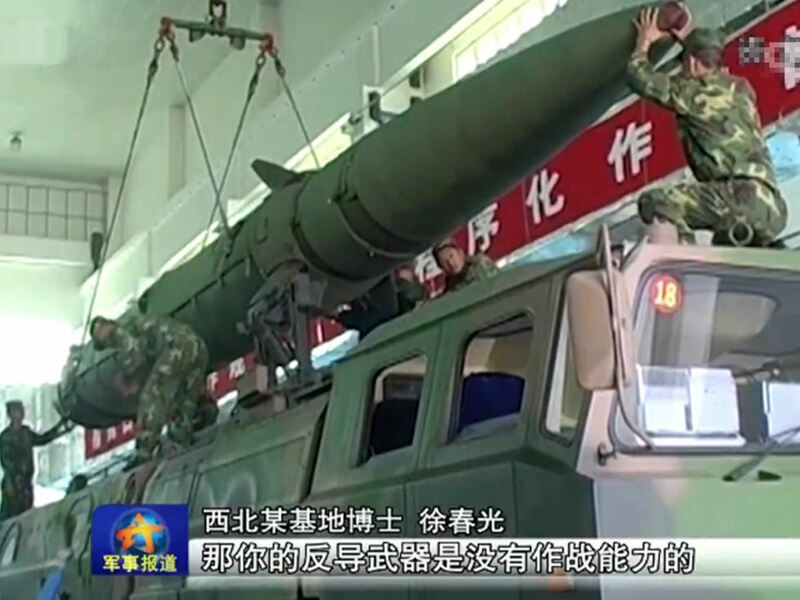 When introducing the PLA's missile test expert Chen Deming, the "military program" of CCTV disclosed the first land-based mid-flight anti-missile interception test screen and intercepted missile warheads. The paper published in China on Demand Analysis of Tactical Missile Power Units and the Development of Solid Rocket Engines suggests that the Red Flag-19 anti-missile system is intended to be targeted at India's 2,500-kilometer long range medium-range ballistic missiles and requires effective interception of 3,000 kilometers Range of medium-range ballistic missile reentry warhead ability. According to another judgment, the red flag -19 kinetic energy interceptor uses a side-window infrared seeker similar to THAAD. The window design can reduce the impact of atmospheric friction and heat on the infrared sensor detection, giving the missile the interception capability in the atmosphere. Side-window infrared seeker gives the red flag -19 in the atmosphere a high attack accuracy, and can use a lighter kinetic energy interceptor to increase the interceptor's shot height and range. China Aerospace Science and Industry Corporation Second Institute developed the endo- and exo-atmospheric Red flag-19 anti-missile missiles, belonging to the People's Liberation Army ground-based missile defense system. The Red Flag-19 kinetic energy interceptor is improved from the 863-805 engineering interceptor, and based on it, the guidance technology of infrared imaging is introduced. It adopted a composite guidance system, which can be used to intercept ballistic missile reentry warhead within a range of 3000km. Red Flag-19 is equipped with high-acceleration solid engine, which uses carbon fiber shell and the application of in-situ synthesis of composite materials. The mass ratio is 0.85, with a firing duration of 260s and 60g maneuver ability to intercept the warhead target. the red flag -19 power for the two solid rocket engine at the beginning of the study on the selection of imported T-800 carbon fiber as the shell material. The second engine is a cone engine with a maximum diameter of about 0.4 meters and a weight of about 100 kilograms. The N-15B solid high-energy propellant is used. The working pressure exceeds 10 MPa and the specific impulse exceeds 250 seconds. The only official document that clearly states the designation HQ-19 is a document entitled "The needs analysis propulsion system of tactical missiles and direction of development for solid propellant engine", dating from 2000 and written by the Institute 41 CCAC Group (China Aerospace Science and Technology Corporation). This paper analyzes firstly the risks and types of conflict that China may face up to 2010 (The document is dated 2000, and speaks of "in 10 years"), and gives types of tactical missiles to develop a priority to deal with these external threats. 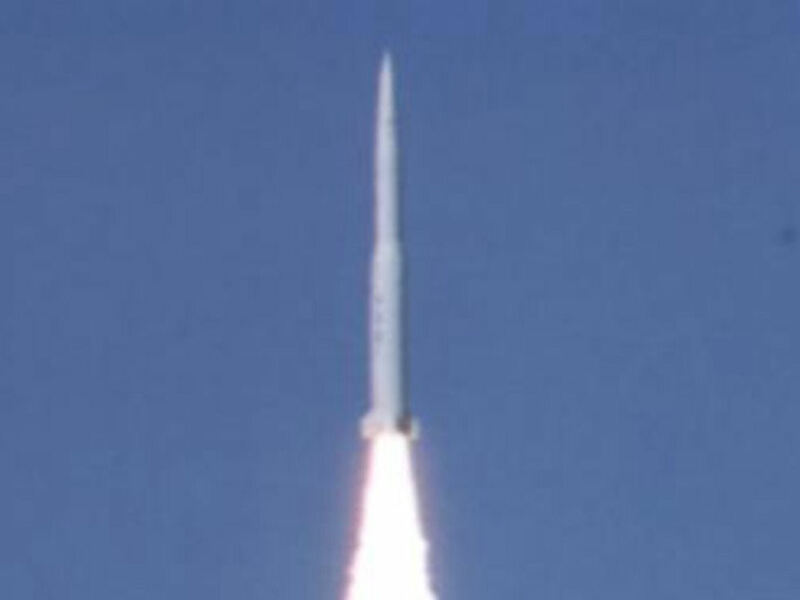 In subsection 3.4, a priority is given to the need for an anti-missile system capable of intercepting high altitude heads ballistic missile whose range is 3000km, phase re-entry. And in response to this paragraph 3.4, in section 4.4 it is clearly stated "Developing solid propellant engines that meet the needs of anti-missile systems area at high altitude," a concept close to American THAAD ( Terminal High Altitude Area Defense). Finally, in paragraph 5.4 of the document, it gives the status of the development of the HQ-19 motor - a solid propellant engine demonstration with a specific impulse of 260s, mass ratio of 0.85 and able to provide the necessary power for maneuverability 60g to track down the head of ballistic missile, a "completed the design phase, fabrication and testing", "testing validated the carbon fiber shell and propellant N-15B." The HQ-19 missile is a project launched in the late 1990s. In 1995 the Chinese started serious studies of a kinetic kill vehicle KKV under Program 863. In 1986, to meet the global challenges of new technology revolution and competition, four Chinese scientists, WANG Daheng, WANG Ganchang, YANG Jiachi, and CHEN Fangyun, jointly proposed to accelerate China’s high-tech development. With strategic vision and resolution, the late Chinese leader Mr. DENG Xiaoping personally approved the National High-tech R&D Program, namely the 863 Program. Implemented during three successive Five-year Plans, the program has boosted China’s overall high-tech development, R&D capacity, socio-economic development, and national security. In April 2001, the Chinese State Council approved continued implementation of the program in the 10th Five-year Plan. As one of the national S&T program trilogy in the 10th Five-year Plan, 863 Program continues to play its important role. In 1999, the first Chinese KKV made the suspension tests successfully flight, China became the second country in the world to have mastered the technology. The first test of V & V was held in 2003 with success. It was in final certification. HQ-19 has a KKV of about 35kg, the system performance would be similar to the US THAAD. Another R & D document mentions a technology demonstration at the HQ-19 engines in 2000, led by the Academy 4 CCAC group. The demonstration also validated "hull carbon fiber" and "rocket N-15B". While the familiar S-400 missile is claimed to have a maximum range of 400 km, this is only against a target of warplanes. The maximum strike range for ballistic missiles is only 60 km, and the maximum strike height of 30 km. This technical indicator is much smaller than the "maximum" of THAAD (for ballistic missiles) of maximum range of 200 km and maximum altitude of 150 km. Russia said it is developing the S-500, which added an interceptor similar to the THAAD in terms of range and altitude compared to the S-400, but the equipment time may be later than around 2020. It is believed by some that the Russian S-400 Triumf surface-to-air missile system was a joint development program, but others say that HQ-19 has nothing to do with S-400 [according to one source, "and I say this with certainty." China has shown interest in acquiring Russia’s newest long-range SAM, the S-400 TRIUMF, but a contract has not been signed yet and Russian officials have stated China would not receive the S-400 until at least 2017. This SAM can target aircraft, cruise missiles, and tactical and medium-range ballistic missiles. The deployment of the Russian S-400 surface-to-air missile system will substantially improve China's air defense capability, military experts said as Russian media reported 16 April 2015 that China has bought the cutting-edge weapon. "The S-400 is definitely one of the top anti-aircraft weapons in the world. It will greatly supplement the People's Liberation Army's air defense system, which now has some loopholes in long-range, high-altitude defense of airplanes or ballistic missiles," said Wang Ya'nan, deputy editor-in-chief of Aerospace Knowledge magazine. "The system has multiple types of missiles with various ranges, enabling it to safeguard a very large area of airspace. 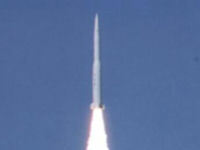 Some of its missiles are even specifically designed to intercept ballistic missiles," Wang said. "Moreover, some of its launch tubes can store and launch several different missiles, which makes it very convenient and fast to use." Russia has a long history of developing anti-aircraft and missile defense weapons, so the S-400 is a concentration of some of the most advanced missile technologies Russia has, such as an active electronically scanned array radar, according to Wang. "China still lacks experience in the development of long-range air defense systems, especially those that can intercept ballistic missiles. There is no shortcut because the development of such sophisticated weapons requires a great number of experiments and tests. It is a matter of time and resource input," he added. According to Russian media reports, the S-400 is a new-generation, anti-aircraft weapon system capable of engaging any aerial target, including airplanes, helicopters and drones, as well as cruise and tactical ballistic missiles, with a maximum speed of 4.8 km per second. The system's 40N6 missile can destroy airborne targets at ranges up to 400 km. Anatoly Isaikin, chief executive of the Russian state-run arms trader Rosoboronexport, confirmed on Monday that China has a contract with his company for the purchase of the S-400 air defense systems. "I will not disclose the details of the contract, but yes, China has indeed become the first buyer of this sophisticated Russian air defense system. It underlines once again the strategic level of our relations," Isaikin told the Russian newspaper Kommersant. China clinched the deal in September at a cost of more than $3 billion for the delivery of at least six S-400 battalions, Moscow Times reported. Currently, China relied on its domestically developed HQ-9 and the Russian-made S-300 missile system, according to Western military observers. 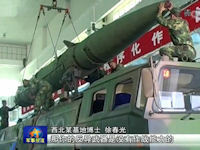 Du Wenlong, a senior researcher at the PLA Academy of Military Science, said the operational ranges of modern military aircraft and missiles are much longer than their predecessors, so an effective defense system must have long-range missiles that can hit aircraft as well as cruise missiles and tactical ballistic missiles. "Our air force has deployed the Russian S-300 systems, which are good at dealing with aircraft, but their performance in intercepting cruise missiles and tactical ballistic missiles is not very satisfactory," he said. "After we commission the S-400, it can work with the HQ-9 and S-300 to form a fully covered air defense network." Zhao Zhihua, a senior missile researcher at China Aerospace Science and Industry Corp, a major developer of China's missiles, said that through the introduction of the S-400, China can gain a lot of experience and expertise on how to operate a missile defense system. "Operating such a complex system will go beyond our current knowledge and experience, which in turn will teach us things that we don't know, so it is worthy spending big money buying it," he previously told the Ordnance Industry Science and Technology magazine.